Good location, right by a bus stop for the wave 102 bus. Everything was great but we found the bathroom a bit small. Breakfast was fantastic particularly since all the food was cooked in the oven grill instead of being fried with a lot of oil. Location to train station was great. Friendly and accommodating staff. Well organized, clean with attention to detail. Twin bed room perfect for my sister and I. Our host pre-arranged for a cab to pick us up the day of our departure. Everything went smoothly. 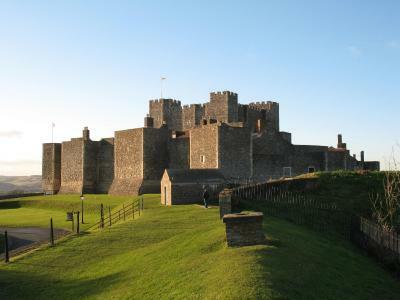 Dover castle was amazing, as were the White Cliffs of Dover. 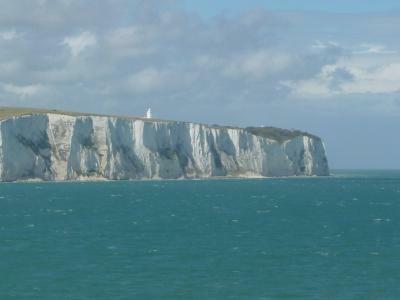 We also enjoyed the ferry ride to Calais, France just 21 miles away. Then we went to, and loved Canterbury! This was a charming place that was very convenient to the train station. I absolutely recommend staying here. The location was ideal for me, within a couple of minutes walk to the train station, but within close walking distance of the town centre. The location was perfect for me: next to the bus station and city centre. Friendly staff. Check-in time was not a problem for me,as I took evening coach from London. I got a very good recommendation for dinner and a special place to lock my motorcycle. Very good value for money, perfect for a short stay. St Albans Guest House Dover This rating is a reflection of how the property compares to the industry standard when it comes to price, facilities and services available. It's based on a self-evaluation by the property. Use this rating to help choose your stay! One of our best sellers in Dover! Opposite Dover Priory Railway Station and well-placed for the ferry port, this Victorian guest house offers nonsmoking accommodations with friendly service. 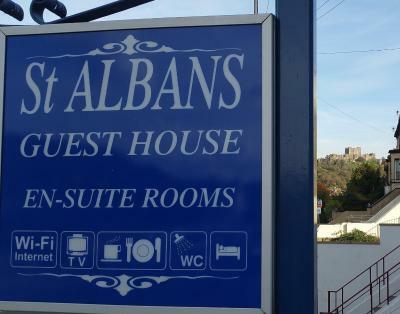 When would you like to stay at St Albans Guest House Dover? This room with attached bathroom features a 32-inch LED TV, free WiFi, a hairdryer, an alarm clock and tea/coffee making facilities are also included. House Rules St Albans Guest House Dover takes special requests – add in the next step! Children 14 and older are allowed at this guesthouse. St Albans Guest House Dover accepts these cards and reserves the right to temporarily hold an amount prior to arrival. No real problems. The bathroom was a little small. Bed and pillows could have been a little comfier and the curtains let a lot of light in. I didn’t like the decor as it is rather dated but the place is cozy and as seen in the photos. The beds in both the double room and the single room not comfortable. Location good for ferry. Nice clean. no 24-hr reception. we wanted to leave our luggage after check out because we wanted to see more sights but we were told that if we leave our luggage, we can't pick it up until 4pm. It was all good , bathroom was small but it was en-suite and for the price it was great . I was a little disappointed with the rules reguarding checking in time. 1600 hours ?... really, [ what if i had arrived early morning with heavy baggage, what do i do, hang around town all day.] you must sort this out. at the end of the day we are the paying customers. the location was excellent. very convenient for the town centre. the room was clean and and well presented. also fairly quite considering how close to a main road and railway station. bed comfy had a good nights sleep.